Founded in 2013, 1 Love Dog Rescue is a non-profit on a mission to save dogs from overcrowded shelters or anyone who would do them harm. We’ve cared for and placed thousands of dogs into loving homes. 1 Love Dog Rescue was created to help dogs find loving homes. Unfortunately America is euthanizing tons of dogs for many different reasons, including the over-abundance of breeders and the lack of room at animal shelters. According to the ASPCA, it is estimated that nearly 4 million dogs enter shelters every year, and unfortunately as many as half of those dogs are likely to be euthanized. Some of these dogs just need to find the right place to be. At 1 LOVE, we work with all types of circumstances to make sure that all dogs have proper vaccinations and microchips, a spay or neuter, and a loving home. To adopt from us, just call our office at (530) 643-1107 after 8:00am. If it’s a good fit, we’ll schedule an appointment so you and the dog can meet in person. We only schedule same-day appointments and all meetings are scheduled for after our office opens at 11:00am. Please be sure ALL members of the household are truly ready to adopt before you contact us. IT TAKES A VILLAGE… IF YOU’RE PASSIONATE ABOUT HELPING DOGS, WE’D LOVE TO HEAR FROM YOU. We need everyday help with office tasks and web/social media work. We also need volunteers to help take dogs to senior centers, jails, and anywhere where people can be helped by the presence of a calm and loving dog. Please call our office at (530) 643-1107 or email 1lovedogrescue@gmail.com if you’re interested and able to help. Thank you in advance for your support. know a dog in need of a home? If you have a dog that needs to be placed with a new family, please give us a call so we can help. We normally deal with smaller dogs but can sometimes make exceptions. Our dream is to build a mobile spay and neuter clinic. A mobile clinic will allow us to go into different communities to spay and neuter more animals. 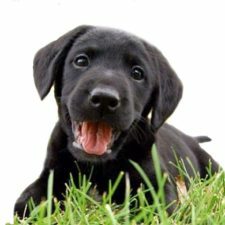 It will educate dog owners about the proper vaccinations and care that all dogs need. It will help employ wounded warriors and military veterans that might need a chance. It will one day become a kennel, giving us the ability to help more animals. Fundraising is underway to make this dream come true. If you’d like to donate, please visit our Contact page and use the PayPal button. Include the note “Mobile Clinic” in the special instructions area. looking for a forever friend?